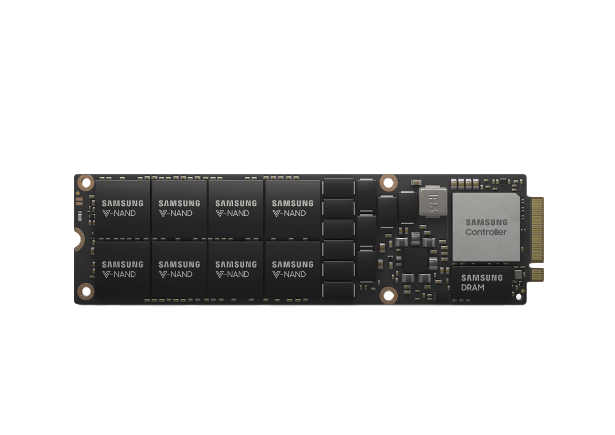 Samsung is announcing the launch of the industry’s highest-capacity NVMe solid-state drive (SSD) based on the extremely small Next-generation Small Form Factor (NGSFF), an 8TB drive designated as the NF1 SSD. 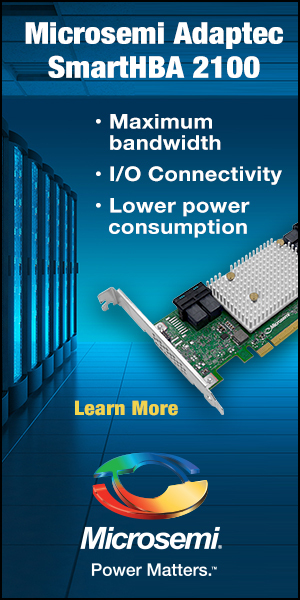 The NF1 is optimized for data-intensive analytics and virtualization applications in modern data centers and server systems. 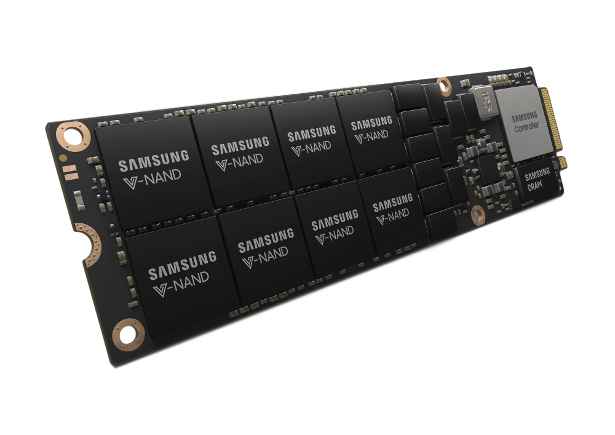 The NF1 features 16 of Samsung’s 512GB NAND packages, with 16 layers each of 256Gb 3-bit V-NAND chips, realizing a full 8TB of storage density in a footprint of only 11cm x 3.05cm. This represents twice the capacity of competing M.2 NVMe SSDs that are commonly found in hyper-scale server designs and ultra-thin laptops. 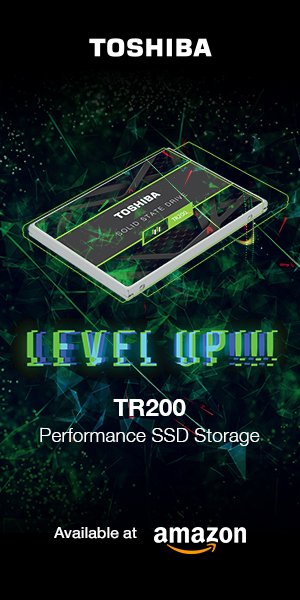 The NF1 SSD is expected to rapidly supercede conventional 2.5” NVMe SSDs, offering up to 3x the system density with existing server architecture, allowing for a whopping 576TB of storage space in a single modern 2U rack server. 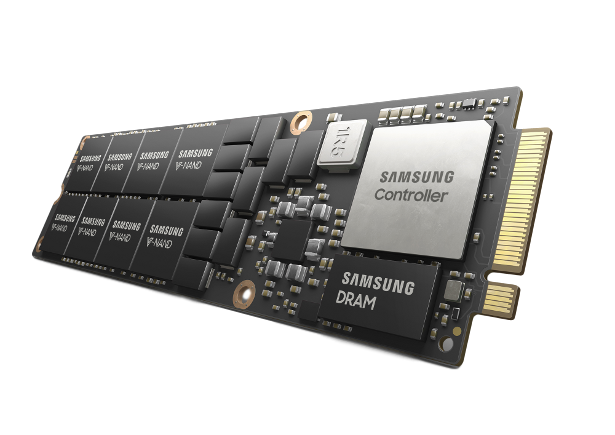 Samsung’s NF1 8TB NVMe SSD utilizes an all-new, high-performance controller that supports the NVMe 1.3 protocol and PCIe 4.0 interface, providing sequential read speeds of up to 3100MB/s, and sequential write speeds of up to 2000MB/s. The NF1 also attains random read speeds of up to 500,000 IOPS, with random write speeds of up to 50,000 IOPS. The NF1 also features a 12GB LPDDR4 DRAM module, providing faster and lower-power data processing. The new NF1 can provide a 2U server rack with random read performance of over one million IOPS! The NF1 is designed with an endurance level of 1.3 drive writes per day (DWPD), guaranteeing it can write an entire 8TB worth of data 1.3 times per day, every day of the NF1’s 3-year warranty period. 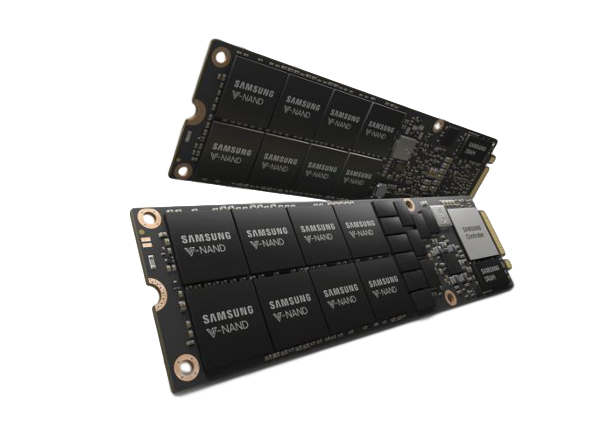 Samsung also intends to introduce a 512Gb version of the 3-bit V-NAND later this year, further accelerating the storage growth in modern enterprise applications and data centers. Pricing has not yet been revealed.